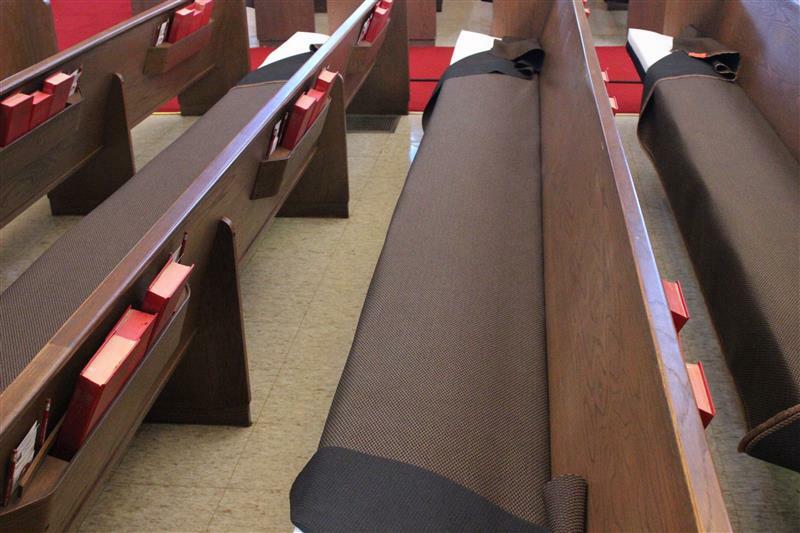 Waggoner’s Inc. has specialized in quality custom-made reversible church pew cushions and pew pads for nearly 50 years. 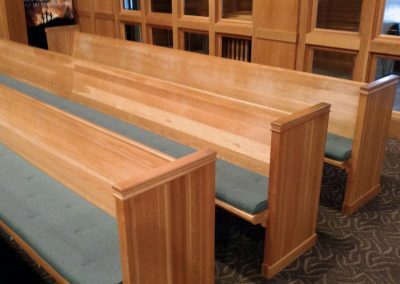 Fine workmanship, quality materials, and friendly customer service are the essence of the Waggoner’s experience. 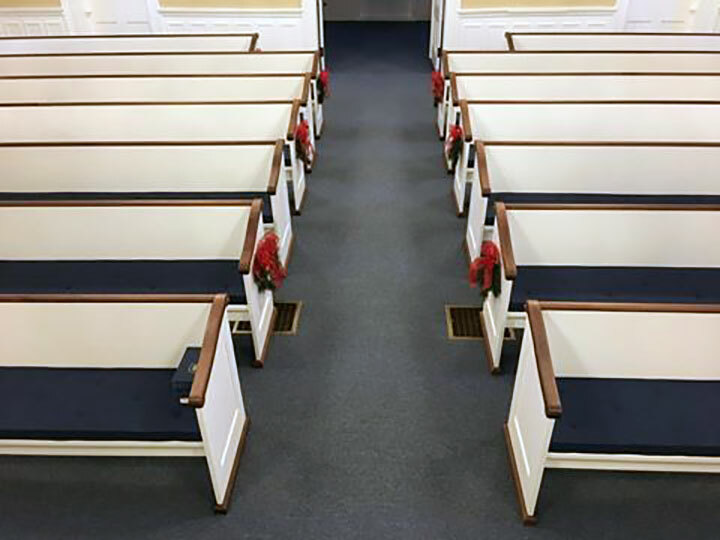 Whether purchasing cushions for the first time, replacing existing pads, or re-upholstering your pews and kneelers, Waggoners will give you the help you need! 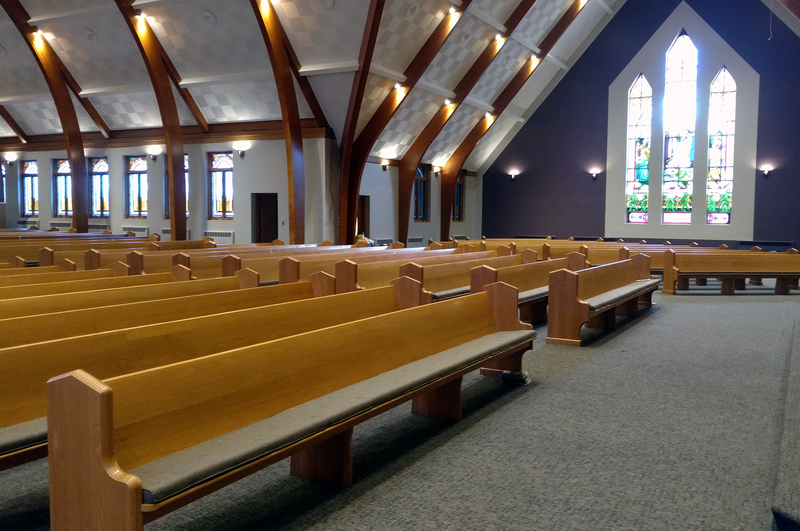 Our 45 years of focusing exclusively on the manufacture of pew cushions gives us the experience to meet your individual needs. We use only the best fabrics available treated with stain resistance protectors and hand-tufted buttons. Reversible cushions can be flipped over and rotated to double fabric usage and to keep that “like new” appearance. Our quoted price is straight from the factory to you including free delivery, so you always know the full cost in advance. 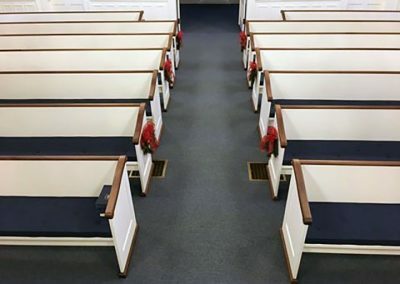 We can’t make the sermon shorter, but we can make it more comfortable! 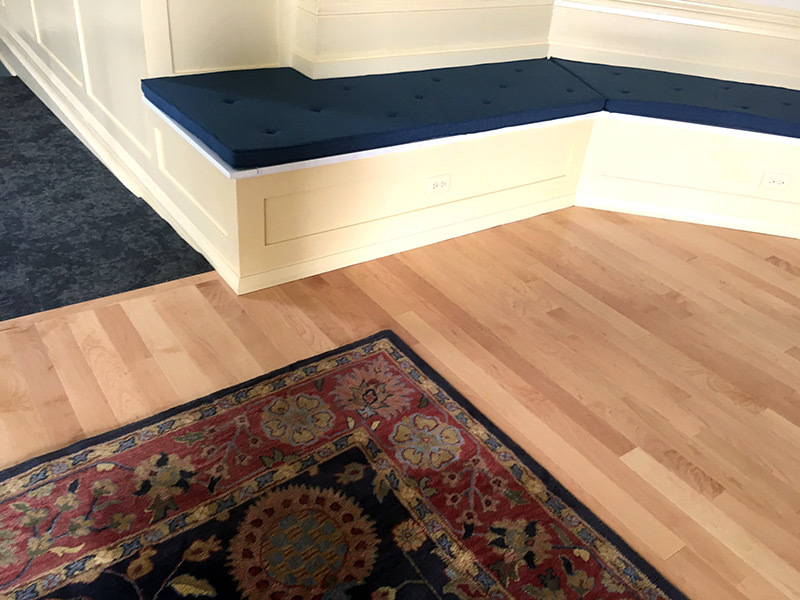 Waggoners can accommodate your needs for quality upholstery service anywhere in the United States and Canada. 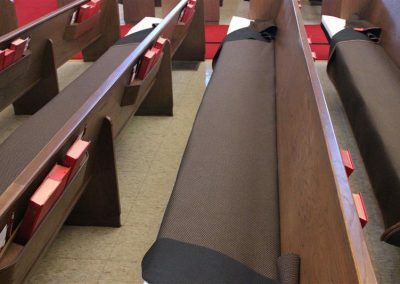 Pew upholstery is done at your church, with the new fabric and foam directly stapled and glued to your pew seats or backs. In pew re-upholstery, the pews are normally stripped of their old foam and fabric, and new foam and fabric are installed.